Much has been written on the ideal distance to zero a hunting rifle. There is no best sight-in range for everyone, because the range at which hunters expect to shoot their quarry differs considerably. For example, if you hunt exclusively from a ridge top that overlooks a food source that is 150 yards away, you should zero for that distance. But if you hunt various terrain that offers both short- and long-range shots, here’s a technique that’ll allow you to hold the crosshairs on the vitals of deer-sized game or larger and keep your bullet inside the vital zone out to 280 yards, give or take a few yards depending on your caliber. It’s called point-blank range, and to maximize it you should alter your sight-in range for a particular load, rather than letting your traditional sight-in distance dictate your rifle’s zero. “Point-blank” range defined is the range of distances at which you can hold your rifle on the center of a bullseye and never fall in or out of your target’s kill zone. The point-blank range for a deer, for example, is generally regarded as six inches. In other words, if you hold dead center on the vitals, your bullet can be 3 inches high or 3 inches low before it misses the vital zone. An elk’s vital zone is larger of course — we’ll say 8 inches. But I like to stay with the 6-inch rule of thumb because is allows for some shooter error, an occurrence that you’d be naive to assume doesn’t happen while in field positions shooting at wild game. So many hunters zero their rifles at 100 yards that it’s almost become standard practice. But the following examples will illustrate why that’s not a great zero for a rifleman who wishes to be able to take shots quickly, without calculating, from point-blank to nearly 300 yards. As an example, let’s use a common hunting round, a .270 Win., loaded by Remington with a 130-grain Premier Accutip boattail bullet that has a .447 Ballistic Coefficient (BC). It’s got a muzzle velocity of 3,060 fps. Ballistically, it falls in line with a whole class of moderately fast calibers. The scope (line of sight) is mounted 1.5 inches over the center of the bore. Zeroed at 100 yards, the bullet will impact 0.76 inches low at 25 yards (this is just fine for hunters), and will be 2.98 inches low at 203 yards. But after 203 yards it falls below the 6-inch vital zone. (That’s missing the 6-inch circle, 3 inches below the center, or point of aim.) At 250 yards, it will impact 6 inches below the point of aim, (3 inches out of the vital zone.) So, with a 100-yard zero, a hunter can simply aim at a buck and expect to hit it in the vitals anywhere from 0 to 203 yards. Using ballistic software downloaded from Remington.com, I manipulated the zero range input data until it was optimized for the greatest point-blank range. I found that by zeroing my rifle in at 26 yards, the .270 will deliver its bullet 2.81 inches high at 100 yards, 2.80 inches high at 200 yards and 2.12 inches high at 250 yards before finally falling out of the 6-inch vital zone at 310 yards. This means that with a 26 yard zero, I can hold dead-center of a deer’s vitals and kill it cleanly from 0 to 310 yards without adjusting my hold. Of course, this is an on-paper estimate, and until you actually shoot your rifle at those distances, you can’t be sure, but I’ve found it to be pretty close. For most rifles, a 25- to 28-yard zero (depending on the caliber’s velocity and bullet’s BC) will maximize its point blank range. 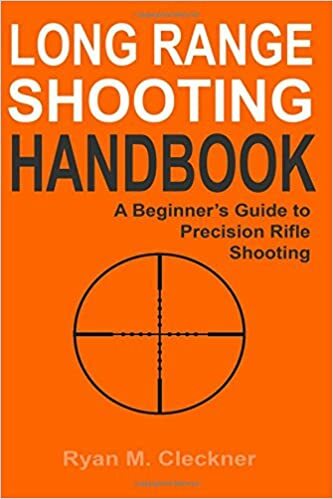 My technique for shooting is to zero at 26 yards (if using the .270 noted above), then shade slightly low (an inch or two) when shooting at 100 yards, and hold slightly high at 300. This increases my margin of shooting error, while allowing me to not have to calculate or hold off the animal at 300 yards. I simply see the animal, range it and shoot — out to 310 yards. Any further than that, I can either use my scope ballistic reticle, or know my caliber’s ballistic data and hold over appropriately. If you choose to employ this 26-yard technique, beware that when zeroing at close range, you must strive for perfection. Place a dime-sized spot on the target and do not deem your rifle “good” until the bullet actually punches that dime on a consistent basis. If you are an inch high or low, or to the left or right, you will be way off at longer range, and it defeats the whole purpose of zeroing in at such a specific range. If you can’t hit the dime at 26 yards, it indicates that your rifle (and/or you) probably isn’t accurate enough to be shooting at long range anyway, because if your rifle is grouping 1-inch at 25 yards, for example, it will likely be 4 inches off at 100 yards and off the paper at 300. But with the technique mentioned above, you can simply aim for an animal’s vitals out to 300 yards and concentrate on a smooth trigger pull. This graph illustrates that with a 100-yard zero, your bullet is on at 100 yards, then starts falling rapidly, and is 3 inches below the point-of-hold at approximately 200 yards. The graph shows that your .270 Win. bullet, when zeroed at 26 yards, angles above the line-of-sight 2.81 inches at 200 yards, crosses the line of sight (zero) again at approximately 275 yards, before falling beyond 3 inches low at 310 yards. Therefore, with a 26-yard zero, you can hold on the target and expect to hit a 6-inch vital zone from 0 to 310 yards. As Texas & U.S. Law Shield have previously reported, advocates of hearing protection want to pursue new legislation to make suppressors easier to buy, and a key backer is Donald Trump, Jr.
“Anyone who has ever worried about hearing loss from shooting might want to lend their ears to this cause!” said Emily Taylor, an attorney at the Houston law firm of Walker & Byington. Now the issue is advancing on several fronts. On January 9, 2017, Congressman Jeff Duncan (R-SC), co-chair of the Congressional Sportsmen’s Caucus (CSC), introduced H.R. 367 to remove suppressors from the National Firearms Act control and treat them the same as long guns, replacing the outdated federal transfer process with an instantaneous NICS background check. The measure picked up 42 Republican co-sponsors, including fellow CSC member Congressman John Carter (R-TX), and one Democrat co-sponsor, CSC Co-Chair Gene Green (D-TX). The measure was immediately referred to the House Ways and Means Committee and the House Judiciary Committee. The bill, whose official title is “To provide that silencers be treated the same as long guns,” takes a public-health angle to safeguard the hearing of the nation’s 55 million gun owners. Sen. Mike Crapo (R-Idaho) introducted the similar Hearing Protection Act of 2017 (S. 59) in the Senate. An earlier measure with the same goal is H.R. 3799, known more widely as the Hearing Protection Act of 2015. “The Hearing Protection Act seeks to amend the law so that firearm silencers are treated the same way as long guns,” Taylor added. “The bill would make it so that there is no longer a tax associated with the transfer of a firearm silencer, and anyone who pays a tax on a silencer after October 22, 2015 could receive a refund of such tax.